Well, friends, we did it! From a one bedroom loft apartment (plus Byron's things in a storage unit) to our new humble abode, this weekend was all about moving, and we learned our fair share of lessons. Whether you are moving, redecorating, or just love hearing about design and tips, we have plenty to share! 1. Friends are good, but movers are great. Movers don't know you. They won't question you about the amount of shoes or random open lamp shades with a huge light bulb or any of your personal decorating tastes or your packing job. They don't take breaks. They won't expect pizza or beer (...just a fat paycheck). And they leave when the move is done! 2. Pack everything. Do NOT create a "come back for this" pile. Even if you are able to move into the new place before your old lease is up, go ahead and pack EVERYTHING, every last thing. Leave nothing behind. Because (especially if you hire movers) any small trip after the BIG move feels so incredibly daunting, and you will most likely hate yourself for a second or two. Moves don't normally just happen suddenly or spontaneously, so make sure you call and set-up electricity, water, gas, trash pick-up, cable, Internet, and anything else. AND make sure to cancel everything else at your other place. Ain't no sense payin fo somethin you ain't usin. Check with your new landlord and see if you can sneak in the night before the move to take a few small loads of really weird unpackable objects and see what needs to be cleaned. Early the next morning, go over and clean, and bring air fresheners (possibly my number one tip); you will be happier and the movers (or friends) will experience a lovely Hawaiian Breeze or Clean Linen fragrance. Seriously, clean fragrances....those little Glade or AirWick plug-ins are super! A great vacuum cleaner. Perhaps you should invest in a really good one with a hose. 5. Don't freak out. About anything. 6. Have a general idea of how you would like to organize things and definitely label boxes. Go overboard. Bust out your label maker. Sharpie every side of every box with the EXACT contents. Do not be vague. Or use your phone to take pictures of the open box and then use a numbering system. Just be better than we were. Also, maybe don't use every inch of boxes, because you will completely forget that you stuffed your giant computer box with a few other things, because it is only labeled with a huge picture of your computer. Let items with pre-labeled boxes remain alone. If you want to spend some money, there is tape labeled by room that looked really cool at the U-Haul store. 7. Buy more boxes than you think you will need and be resourceful. ONLY buy boxes from the U-Haul store. They are cheap. They have the sizes you need. They encourage you to reuse them. And they buy back the boxes you don't use...so assemble as you go, not all at once. Use boxes as a tarp when painting. Use boxes to slide furniture around when you rearrange. Use boxes to donate things you thought you really wanted at your new place. 8. Have someone who has been in a house, lived alone, is very wise come over soon. Byron and I were fortunate enough to have both sets of parents come help us figure out what we got ourselves into...parents are so wise. Our dads checked out the place, fixed things, alerted us to things we should be aware of in the future; basically, they informed us on everything we need to know about home maintenance and how to be good renters within a very short span of time (so that they could relax for the rest of the day!). Our moms got to cleaning and unpacking right away! Both our moms taught us everything we know about giving of yourself, serving others, and loving--we adore these women and our daily blessed by their examples. They taught us, by example, how thoroughly we need to clean our house, and they will probably remind us weekly and monthly to do so. Anyway, enough of my shout outs and praise...invite someone over to help you learn things you don't know. 9. Set up something fun quickly. Unpacking + arranging furniture + decorating + figuring out how to be an adult = EXHAUSTION. To avoid this, pick something fun like Super Nintendo (we set it up last night...no big deal...come play with us) to plug in quickly, or have your favorite DVD's easily accessible so that you can relax a bit! I am not even ashamed to say it. Look elsewhere. People think of amazing and helpful things, and they willingly share their genius on the interwebs for the rest of us. 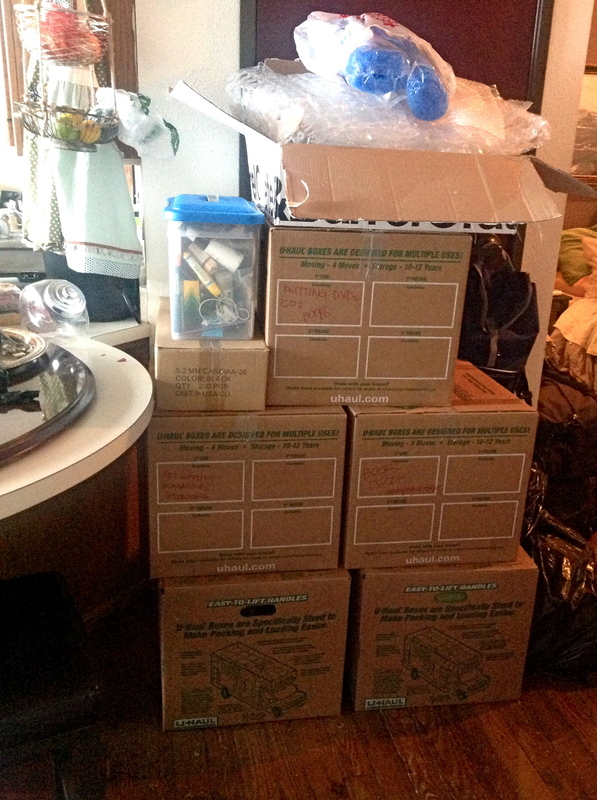 One of my favorite moving tips was--pack stuff you want first in a clear box. BRILLIANT. Here is the most helpful list I found. If you follow us on pinterest, we have pinned more helpful things on the 'Our Love Nest' board and and our 'Helpful' board. We moved. And so can you! I hope that these tips/lessons were helpful for at least a few of you/entertaining for all.